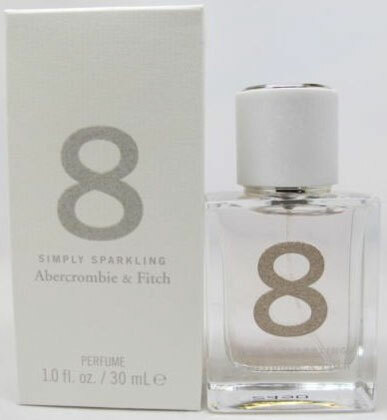 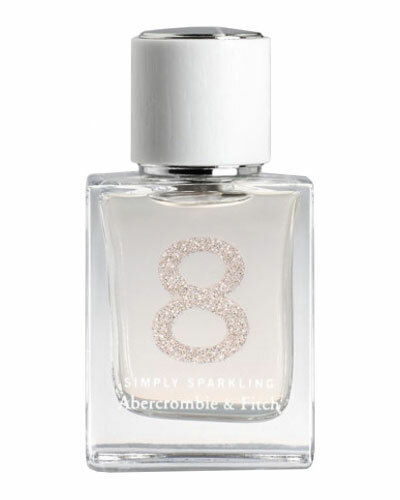 8 Simply Sparkling by Abercrombie & Fitch - A floral gourmand fragrance for women launched in 2014 featuring the aroma of vanilla sugar paired with pink jasmine flowers and luscious blackberry. This limited edition sweet scent for women is available from Abercrombie & Fitch stores nationwide in eau de parfum spray and rollerball. 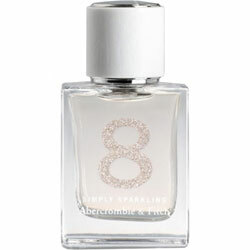 Package Design Clear square glass bottle with sparkling gold 8 with a white and silver cap.